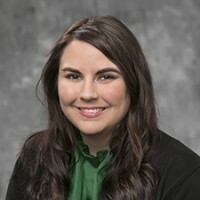 Dr. Kassia Waggoner is the co-author of “Yours in Filial Regard: The Civil War Letters of a Texas Family.” Her work also appears in Mississippi Quarterly. Her research interests include Southern literature, disability studies, digital humanities, epistolary studies, and women and gender studies. While at Texas Christian University, she won the distinguished teacher of the year award twice; she was twice nominated for the Jean Giles-Sims Wise Woman of the Year Award; and she received the Women and Gender Studies Research Award. She is the current sponsor of Friends University’s chapter of Sigma Tau Delta, The MEWS and English Club. She also created the Summer Book Club program for alumni and current students. She teaches a wide range of English courses in addition to general education classes at Friends University.